The conflict in Yemen has left its people—who faced extreme poverty long before the war—in what can only be described as a state of desperation. The level of suffering is unprecedented: a higher percentage of people face death, hunger and disease than in any other country in the world. Albeit fleeting, a beacon of hope emerged when the warring parties agreed to attend peace talks in Sweden at the end of 2018. These managed to avert the imminent battle of the port of Al Hudaydah, an event that would have had absolutely shattering consequences to the lives of innocent civilians. Although the port can now continue to be used, needs surrounding the world’s worst humanitarian catastrophe remain staggering: more than 24 million people rely on aid to survive. Being an IDP in Yemen comes with more hardship than most of us can imagine, and within the IDP-community, one group is more exposed than others: children. A child in Yemen dies every 10 minutes—not because of the war itself, but from entirely preventable causes. In the world today, one in six children live in a conflict zone. In many of these areas, diarrhea is a bigger child-killer than the war itself. According to a recent UN report, children under five are more than 20 times more likely to die from diarrhoeal diseases than from direct violence. The silent—but ruthless—consequences that the war in Yemen leaves in its wake are therefore often the biggest threat that its younger generation faces. 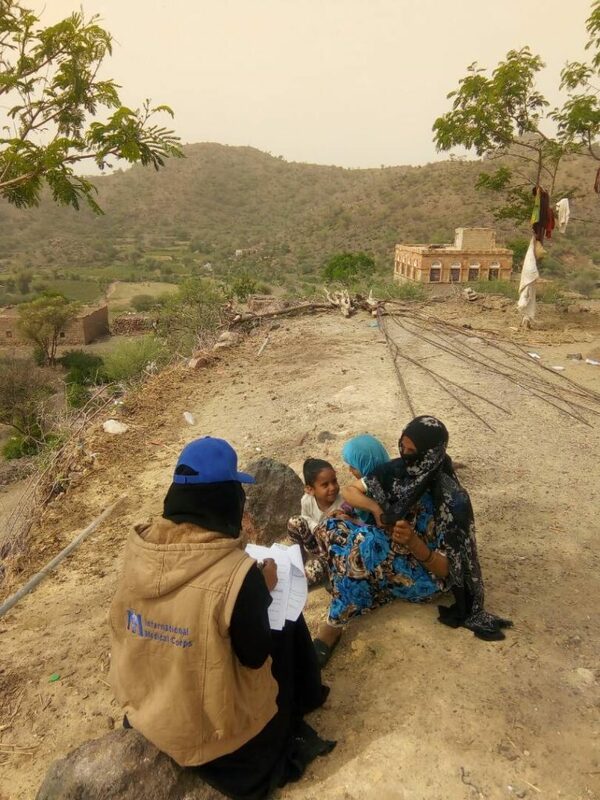 A large group of IDPs has settled in a region in southern Yemen called Lahij. Escaping escalating conflict, many of them have sought refuge from the neighboring city of Taiz. 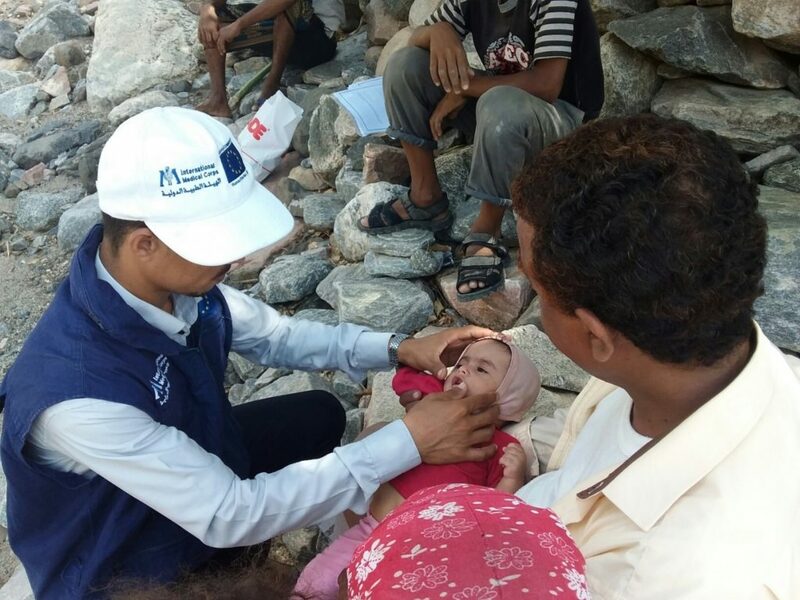 Funded by the European Civil Protection and Humanitarian Aid Operations (ECHO), International Medical Corps provides a range of services to support conflict-affected IDP-communities in Lahij. International Medical Corps, which has been working in the Middle East since 2003, has been on the ground in Yemen since 2012—three years before the deadly conflict broke out. In a country where fewer than half of all healthcare facilities are operating, our team is focusing on providing the people with healthcare-related services. Amid an acute lack of clean water and a persistent cholera outbreak, our assistance is also centered around providing water, hygiene and sanitation (WASH) services. To prevent disease and bring dignity to Yemen’s communities, access to clean water and reliable toilets is key.